African violets are pet friendly. African violets are pet friendly. Fido and Mr Kitty can rest easy knowing these traditional blooming plants are not going to give them a belly ache if they go in for a late night snack of leaves, roots and dirt. 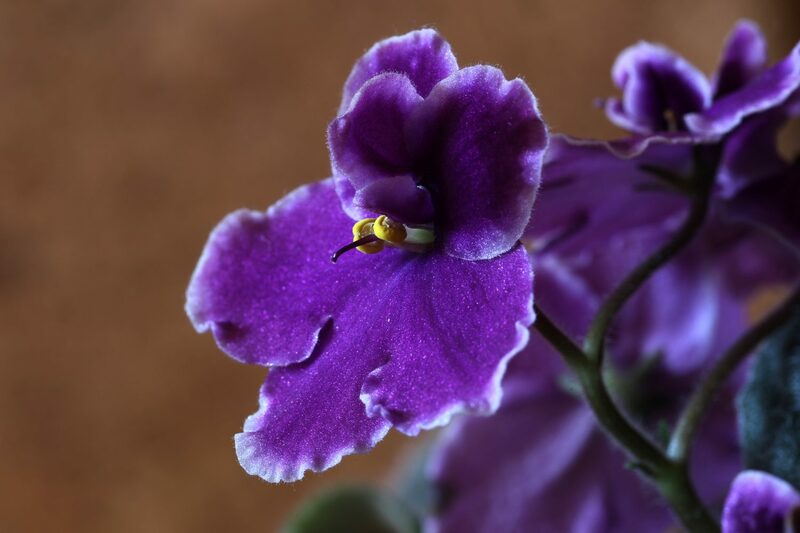 Here’s what you need to know to be an expert at caring for your African violet. Bright, indirect light. Choose a room with lots of windows and keep your African violet away from those windows! Water from the bottom (fill a saucer) using room temp water that hasn’t been sent through a water softener. Some folks say African violets are finicky, but really you just need to stay on point with these couple watering tips. To clarify, don’t water the leaves, water the saucer below the plant. Don’t use soft water or very cold water. Purchase an African violet food and follow directions specific to that product. All fertilizers are different and require a unique dosage specific to the brand you’ve selected. African violets bloom when conditions are right. They need 8 hours of darkness, a good watering program you will provide with the tips you learned from above watering section, and regular violet food.